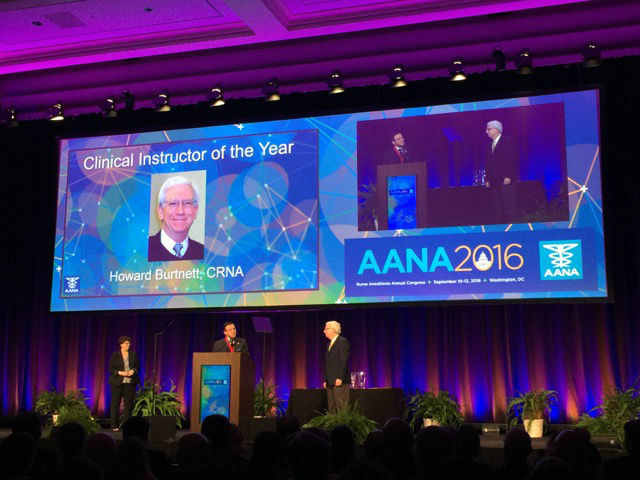 Howard Burtnett, MHS, CRNA was awarded Clinical Instructor of the Year by the American Association of Nurse Anesthetists (AANA) at the Nurse Anesthesia Annual Congress held September 9-13, 2016 in Washington, D.C. The honor recognizes individuals who made a significant contribution to teaching nurse anesthesia students in the clinical area. To find out more visit the link to AANA’s press release. When you’re here, you’re family.